It’s only eight years old, and home to some very wealthy and noted San Franciscans—and the Millennium Tower, sources say, is sinking faster than was ever anticipated. The tower, designed by Handel Architects, won awards for its design when it opened in 2008 as the tallest residential building in the western United States. The Mission Street building includes 419 condo units, retail space and a parking garage, and stands at 645 feet tall. The Millennium Tower in San Francisco (at right) has sunk 16 inches since it was built. Actually, make that 643 feet and 8 inches tall. As the San Francisco Chronicle reported Monday (August 1), the Millennium Tower has sunk 16 inches since it was built—10 inches more than it was expected to settle in its lifetime. What’s more: The sinking hasn’t been completely even, leading to a tilt of 2 inches toward the northwest, the Chronicle reports. But at least one expert says it’s worth worrying about, at least a little. Stanford University Professor Greg Deierlein, of the schools’ Earthquake Engineering Center, told the paper that the settling and tilting are “of concern,” and that while it’s not an immediate threat to safety, it could lead to cracks in walls and other issues. Fingerpointing abounds in this case: A spokesperson for Millennium Partners told the Chronicle that the settling began in earnest when the Transbay Joint Powers Authority, a collection of transit agencies, excavated nearby for an underground transit station. He blames the TJPA for failing to protect the building. The tower’s engineers used high-strength reinforced concrete rather than steel beams in creating the structure. 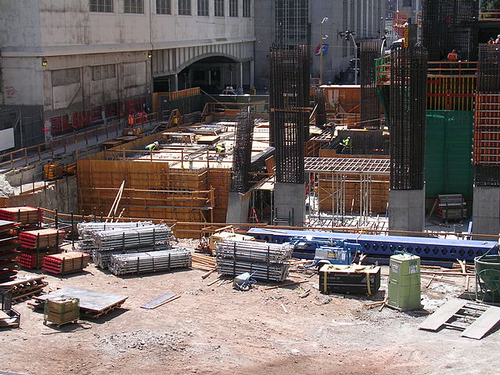 The TJPA noted to the Chronicle that the building’s construction did not include drilling piles to the bedrock, which is about 200 feet down. If it had, “the tower would not be tilting today,” an agency spokesperson told the paper. The paper reports that the TJPA put about $58 million into shoring up the Millennium Tower when it began work on the nearby transit station. 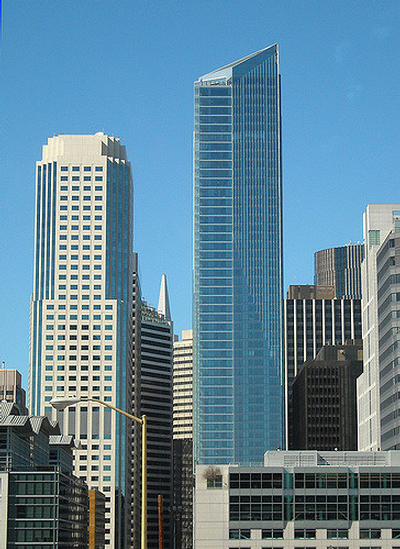 The Chronicle notes that Millennium Tower, at its location on Mission Street, is situated “on unstable mud-fill, just off the [San Francisco Bay’s] original shoreline.” Buildings in San Francisco also face the challenge of frequent seismic activity due to the city’s location near seven significant fault lines. 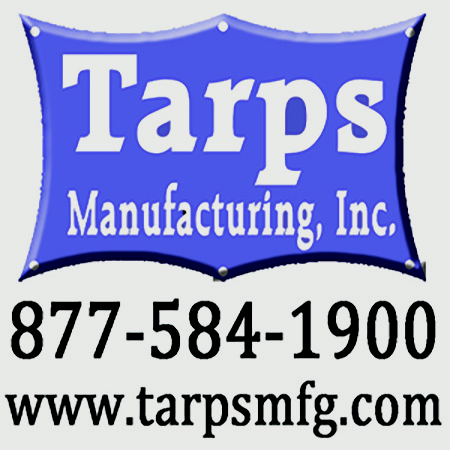 A two inch tilt may require shimming to level any mechanical equipment to restore or maintain balancing. Imagine your air-conditioning condenser to be out of level throwing the fan and compressor out of balance. A marble will probably not remain stationary on a kitchen counter top in this situation. Depending which direction the tilt is, that's a 2" shift over either a 100 foot span, or a 150 foot span. Cut corners on the pilings down to bedrock, and now we have this. Its going to be finger pointing city. I'll be watching this one. Hmmm...2" tilt to the northwest. Where did they measure it, I wonder. If it is high to low on a single floor, then it's could be over as much as 70 m / 230' (the building is rectangular with the longer dimension running NW-SE)...could be as little as a 0.075% grade. May not be a big issue at this point, but if the tilting continues, it may become one later. I don't know the geological conditions in San Francisco, but I'm a little surprised by the lack of a pile foundation considering it's a 60+ story building. The concrete frame; however, would not be my first suspect...it's not as common, but it has been used successfully elsewhere. The most serious operational condition is the elevator rail alignment criteria. These rails are the most precise element of any building serviced by an elevator. Some of you would be amazed to learn the strict minimum installed tolerance for 2 to 20 floors and above. 60 stories with the reported misalignment may have a serious inspection requirement on a monthly basis. You can't bend an elevator rail!! !